A 28-year-old man who failed to turn up to do community service was re-sentenced last Wednesday at Craigavon Magistrates Court and given a prison sentence. 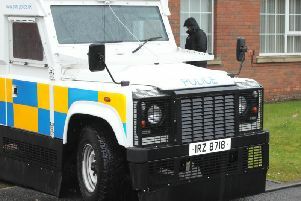 Catalin Balan, who at the time lived in Queen Street, Portadown, was convicted of assault occasioning actual bodily harm at the local court on September 8 last year. He was given 180 hours community service but last week the probation service brought the matter back to court. They claimed that he was in breach of the order by failing to attend to do unpaid work when instructed. A barrister representing Balan said he had advised him of the court’s precise way of dealing with these cases. The lawyer said that Balan had moved address to Tandragee where he was working in a factory. He explained the defendant hadn’t told anyone and had transferred solicitor. The barrister asked the court to consider a non custodial option and Balan was willing to re-engage with probation. District Judge, Mrs Bernie Kelly, asked the defendant if he could remember her telling him if he didn’t co-operate what would happen. Judge Kelly imposed an immediate prison sentence of three months and ordered him to pay a £25 offender’s levy. Later in the court Balan was released on his own bail of £250 to appeal the sentence. Conditions of his bail are that he is to live at Austin Drive, Tandragee, not to leave the jurisdiction and a complete alcohol ban was imposed.